Our world’s ecosystems have become increasingly fragile and precarious, namely due to human interference. As we develop and grow as a species, the animal world is shrinking. Many species that once flourished are now severely threatened by extinction. 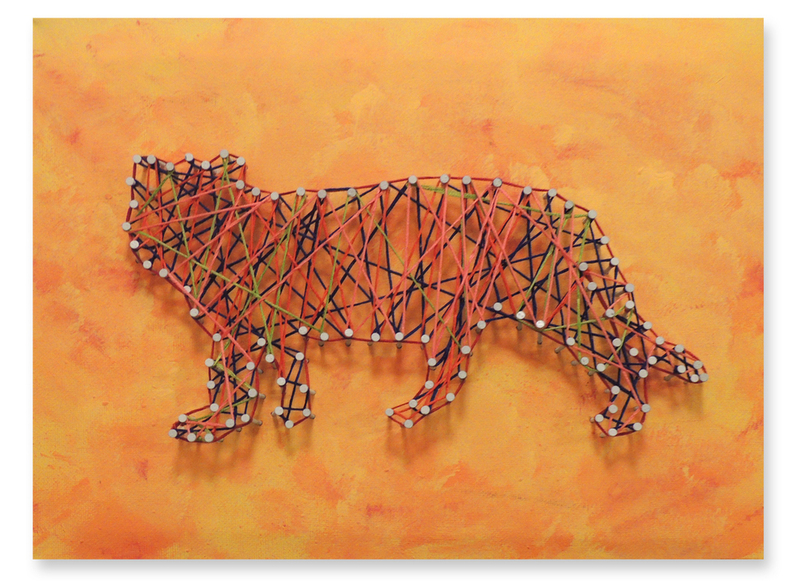 In this series of mixed media works entitled Hanging by a Thread, I have chosen to highlight several species that are currently categorized as Critically Endangered. Using thread and nails, I have loosely captured each animal in an ephemeral manner. 2014, Embroidery thread, nails, acrylic on canvas, 12 x 9"